In this article, the how-to for creating EPS files for vector and illustration stock website in Inkscape. Selling stock illustrations is becoming popular as much as selling photos, and the reason is pretty clear: vector stock illustrations pay more than camera-taken pictures. In our Linux world, to be competitive in this sector, we must accept some compromises. Not due to less value of opensource software, but due to stock websites that accept only proprietary format files. In contrast to raster (also called ‘bitmap’) graphics editors such as Photoshop or GIMP, Inkscape stores its graphics in a vector format. Vector graphics is a resolution-independent description of the actual shapes and objects that you see in the image. Inkscape is absolutely the best program for vector graphics, in my opinion far superior also to Adobe Illustrator. Apart from what I think, with Inkscape, an artist can create most of the same illustrations that can be made with Adobe Illustrator. SVG is a world standard: Scalable Vector Graphics is an XML-based vector image format for two-dimensional graphics with support for interactivity and animation. The SVG specification is an open standard developed by the World Wide Web Consortium (W3C) since 1999. EPS, or Encapsulated PostScript, is Adobe’s proprietary format, but also the most common vector image format in the Apple and Windows world. It is the standard interchange format in the print industry and it is widely supported as an export format, but not all programs that claim to support EPS are able to export valuable files of it. Unfortunately, all the stock vector websites accept only EPS files and not SVG files. It’s incredible in 2019, but it’s true. So, we need to use a workflow to export EPS files in the correct way. Are you in Stock Photography? Would you like to sell Vector files? Do you love Opensource and Inkscape? If you tried to sell you Inkscape-made SVG vector files, you know that Stock selling websites want only EPS proprietary format files. If you tried to export EPS files with Inkscape, you know that the result is ugly and doesn’t work on Stock Photography websites. 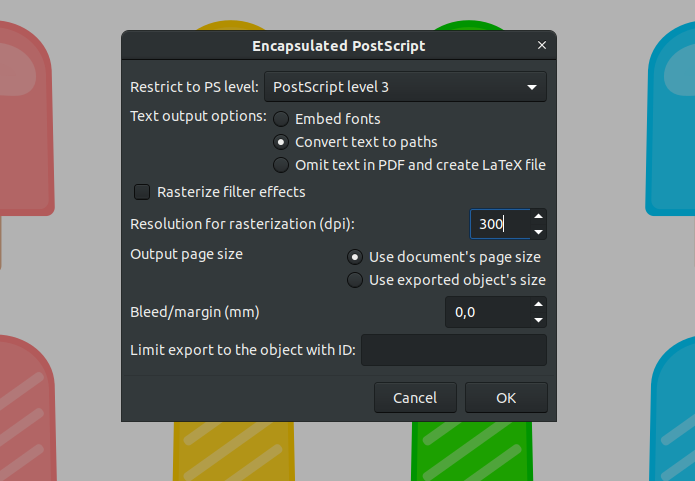 Inkscape has the ability to save vector as EPS, however, it tends to convert everything to a bitmap (raster) and throw it in the .eps file and can be a bit of issue like no border or black background. Also, put a square/rectangle (white) vector as background to set border limit in exporting process. This is enough for our vector files to sell on stock websites, but if you need more, like to produce vector EPS with CMYK color for print items, you ca read the Scribus workaround made by Máirín Duffy. Now that you have your submit-able EPS files, where to sell them? iStockphoto is probably the largest and most popular place to buy photos and has also a wide vectors area. Once you’re approved you’ll be able to upload your work and earn commissions. Shutterstock sells anything for creatives: stock images, stock footage, illustrations, vectors and music tracks. This is one of the most famous platforms for online stock selling. Sidenote – Music in the video from Youtube audio library: Lost Time by Eveningland.